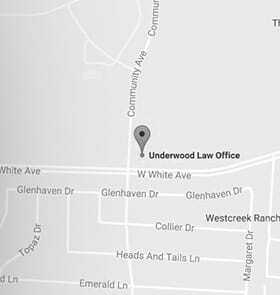 At Underwood Law Office our law firm makes our community safer by representing people needlessly harmed by others. We are proud to help people in their most desperate times of need. We are dedicated to obtaining justice for the injured, the forgotten, the voiceless and the defenseless. Our lawyers are committed to the jury system. We believe it is the most effective method of ensuring the powerless receive justice from the powerful. Our clients should expect comfort, counsel, expertise and communication during our representation. If you need to file a disability claim with your employer-provided disability insurance, it can be important to know how those benefits are determined. So, in this article we’ll first walk through the ERISA disability insurance claims and appeals process. Do You Want To Know More About How a Personal Injury Lawyer Can Help? Call Us Today. To schedule a free consultation with an Underwood Law Office personal injury lawyer, car accident attorney and disability attorney, in Texas call 972-535-6377 or West Virginia at 304-522-0508. You can also send us an email. We look forward to helping you. Our goal is to get your life back. Se habla español. Our client became a quadriplegic when he was shot while crossing a retail store parking lot. The net settlement amount to the client after case expenses and attorney fees was $1,343,307.95. Our client was the shift foreman at a coal mine when an explosion happened. He suffered a traumatic brain injury. The net settlement amount to the client after case expenses and attorney fees was $1,127,944.27. Our client suffered a brain injury and post traumatic stress disorder when an explosion occurred while within the mine. The net settlement amount to the client after case expenses and attorney fees was $986,600.03. Our client suffered a brain injury and post traumatic stress disorder when an explosion occurred when he was beginning his shift at work. The net settlement amount to the client after case expenses and attorney fees was $851,823.87.